They say that to be a constant creative in any field of endeavour you need to stick to a regimented daily ritual – doing the same thing over and over again – to allow your subconscious mind to form the habit – a routine. Alas, we tend to incorporate more bad habits than good ones, one of those being a slave to our office environment. Even though we may inject creativity into our work, being four walled, no matter how inspiring or feng shui’ed the place may be, we may still get mind clogged and stifled. 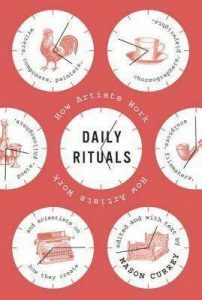 Recently I’ve read a book ‘Daily Rituals’ by Mason Currey who writes about the most successful and inspiring people of our time and their daily habits. 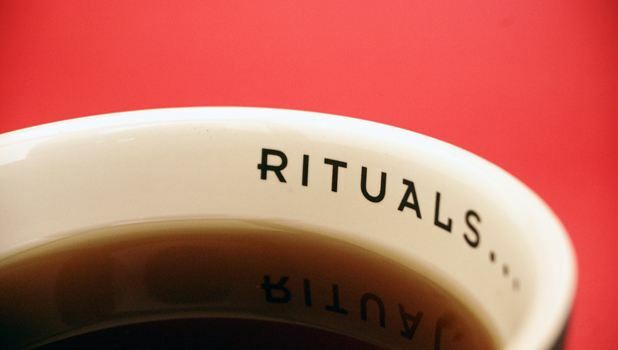 And yes, even though many of them had habits which they stuck to I couldn’t help but notice ONE consistent daily ritual that most of them adhered to and which they all had in common. 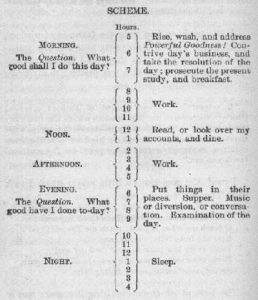 It wasn’t the case of sticking to a regimented time scale for writing, painting or composing or adhering to a particular exercise routine. It was in fact something much simpler than that. Something which the majority of the creatives in the book adhered to on a regular basis and which seemed to have helped them with their creative process of getting into the flow. And that thing was simply…Walking. It seems that walking on a daily basis, whether for 10min or several hours had a way of getting their creative mind to unclog and declutter from the day’s menial structure. Woody Allen says that over the years he’s found that any momentary change stimulates a fresh burst of mental energy and going out for a walk works just as well, although he can’t do much of it these days due to his recognisability on the streets. 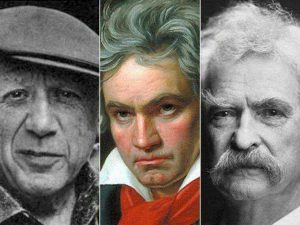 Beethoven would embark on a vigorous walk and would carry a pencil and some sheets of music in his pocket in case of any musical thoughts popping into his mind at the time. Frederic Chopin said that his creation was spontaneous that it could sing in his head during a walk. Charles Dickens would leave his desk in the afternoon for a vigorous three hour walk through the countryside or the streets of London continuing to think of his story. And Maria Kalman said that taking a walk is always inspiring because her work is often based on what she sees. The aim of walking, apparently, was to fracture the mould of contention and monotony and to allow the mind to roam more freely by breaking from the conventional routines of the day. It seems that most of the enigmatic and astute people in history understood this and therefore made a point of taking long walks during the day or evening in order to un-cobble or de-web their tireless minds and breath in the freshness of life not just physically but mentally too. Ingmar Bergman, Morton Feldman, Gustave Flaubert, Thomas Mann, Sigmund Freud, Carl Jung, Gustav Mahler, Richard Strauss, William Faulkner, Haruki Murakami, John Adams, Henry Miller, Immanuel Kant, Franz Kafka, George Gershwin, P.G Woodhouse, John Milton, Rene Descartes, Victor Hugo, Charles Darwin, Nathaniel Hawthorne, Leo Tolstoy, Pyotr Tchaikovsky, Sergey Rachmaninoff, Vladimir Nabokov, George Orwell, Jackson Pollock and Oliver Sacks to name but a few. I think it is important for us creatives to do the same and take the breaks required from our desk tops or our four walled office existence, and go for brisk walks, whether around the neighbourhood, at a park nearby or even in the city streets if you don’t have the privilege of living in a bucolic surrounding. Set a timer if you have to in order to remind yourself of this. Pick up a pad and pen to carry with you and be open to the elements of your surroundings when going for a walk and let it all sink in. Don’t force your thoughts just let them be and see what comes to mind. It may take some time to feel the difference since it is an exercise and like all exercises its a muscle that needs to be expanded and stretched so be patient. Arthur Miller said that to spark creativity is similar to a man walking around with an iron rod in his hand during a lightning storm. So, grab that iron rod, plus a pad and pen, and head off on your daily walk.